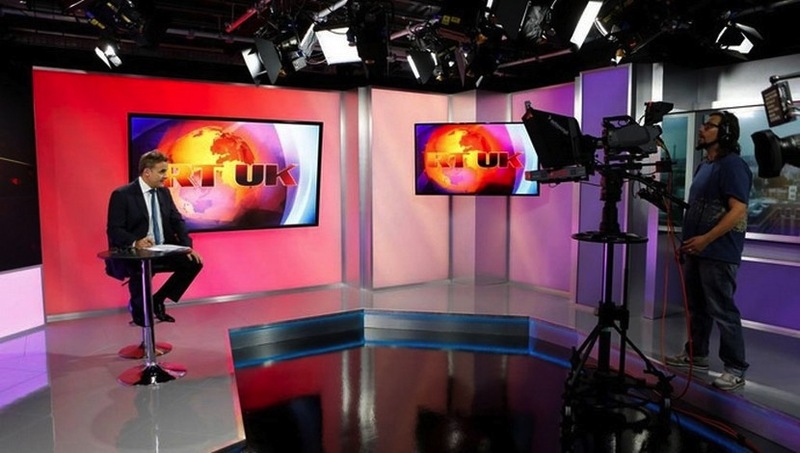 Russia's state-backed news channel RT (formerly Russia Today) will launch its first dedicated British news channel tonight from its new London studios at Millbank. RT UK will cover local, regional and national stories from the UK, and will “challenge dominant power structures in Britain by broadcasting live and original programming with a progressive UK focus”, according to the media organisation's website. The 24/7 news channel will broadcast five hours of UK-related content per day between 6pm and 11pm, including live news, current affairs programmes and documentaries as well as content from RT's other channels. An important pro-Kremlin media outfit, RT is expected to receive around $400m from the Russian government next year, upping its 2014 funding by 30%.